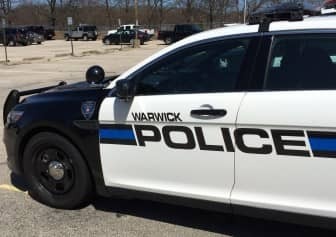 WARWICK, RI — Warwick Police arrested a West Warwick driver on suspicion of DUI Sept. 10 at 4:29 p.m.at 777 Cowesett Road after the man crashed into Warwick Rescue #3. Officer Brian Fontaine, was driving his cruiser on Cowesett Road when he noticed a traffic back up at the intersection of Hardig Road and noticed Rescue #3 firefighters flagging him down. Fontaine stopped and spoke with the firefighters, who told him they had just crashed with a Red Ford Focus, according to the officer’s report. Driving the Focus was Thomas P. Palucha, 72, of 100 Youngs Ave., West Warwick. Fontaine spoke with the man, noting his bloodshot eyes, and a moderate odor of alcohol coming from the man. Palucha told Fontaine he had had two rum and coke drinks. Fontaine asked him to perform some sobriety tests. During the tests, Palucha demonstrated a lack of smooth pursuit in his vision, stepped off-line and used his arms for balance during a walk and turn test and was unable to balance safely on one foot, according to the report. Palucha failed the sobriety tests, and Fontaine arrested him on suspicion of DUI and then transported him to Warwick Police Headquarters, where he refused to submit to a breath test. Police charged Palucha with DUI, first offense, blood alcohol unknown, cited him for refusing the breath test, as well as for lane violations, and failure to yield. He was released on bail and had been expected to appear in court to answer the charges Oct. 2.